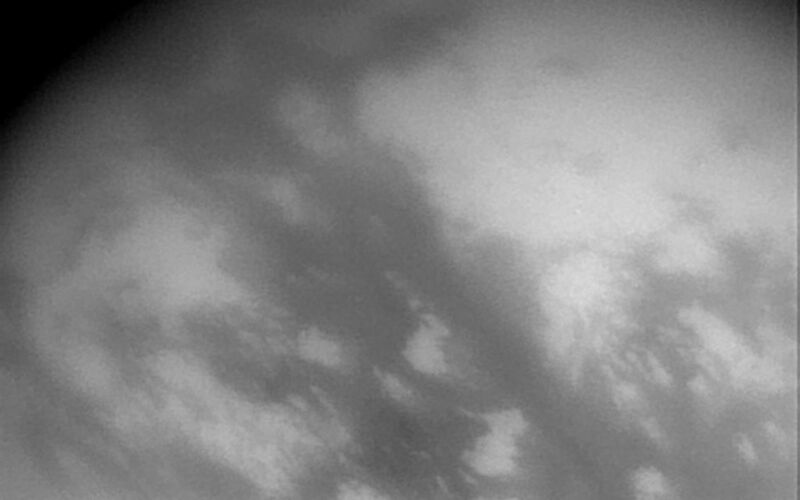 This wide-angle image captured by Cassini's imaging science subsystem shows streaks of surface material in the equatorial region of Titan. 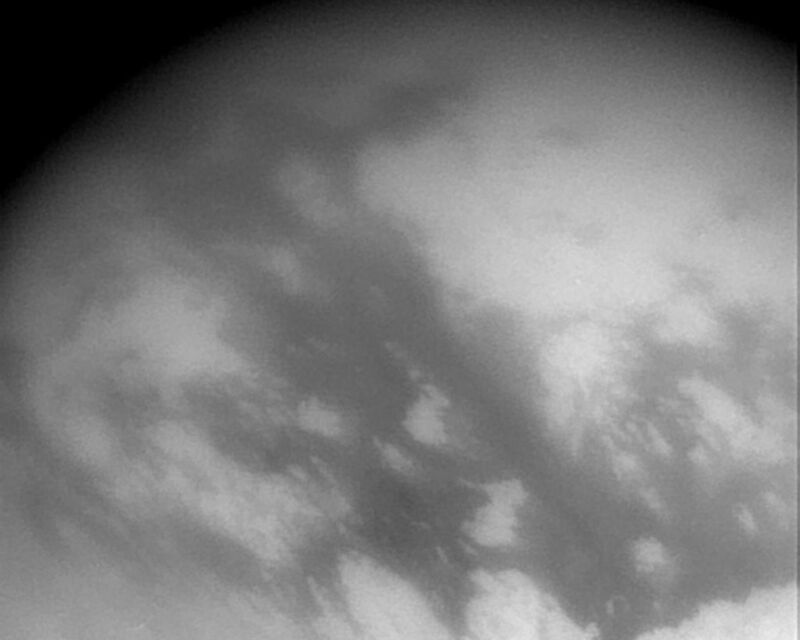 It was acquired through a near-infrared filter, which is sensitive to methane. Streaks occur in the east-west direction (upper left to lower right), and may be caused by the movement of a fluid over the surface, such as wind, hydrocarbon liquids, or a migrating ice sheet, such as a glacier. 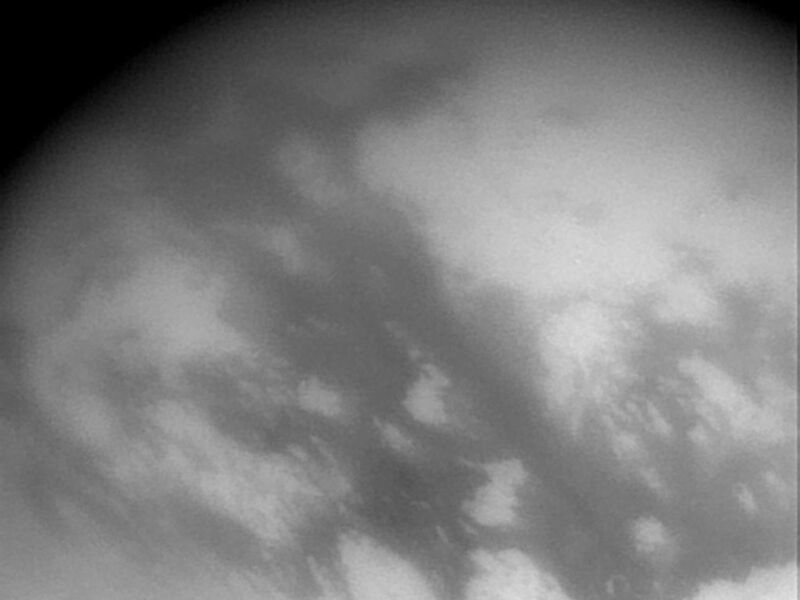 The large-scale streaks are most easily explained by winds in Titan's massive atmosphere. 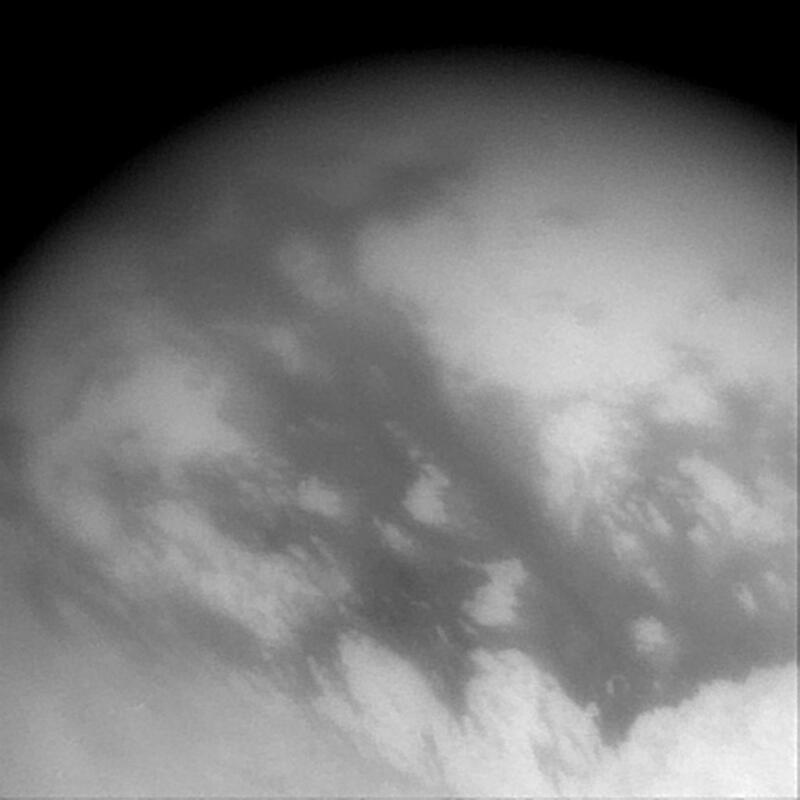 The image scale of this picture is 6 kilometers (3.7 miles) per pixel. North is 45 degree to the right of vertical.